Being a teenager is difficult. Being a gifted teenager that attends college and high school makes things more difficult. Being a gifted teenager that will graduate at age sixteen with a host of quirks or idiosyncrasies just makes you weird. Josie is just that teenager. Just when she feels as if she has a handle on teen-life and college life, her sister Kate turns her world upside down by getting engaged to a guy that Josie detests. Why can't anyone else see that Geoff is the wrong man for Kate? Why can't anyone see that Kate is being insufferable to Josie as she plans for her wedding? Why can't things just stay the same? I wasn't quite sure what to expect when I began reading Love and Other Foreign Words. I've got to say that it took a while for me to warm up to the book. Just when I was ready to put it aside as a "could-not-finish" read I began to smile at the conversations between Kate, Josie, Geoff and others. When I thought it couldn't possibly get any better than a random smile, I began to laugh (yes, out loud) at Josie's antics to end her sister's engagement. Josie isn't a spoiled teenager, she is just a girl that thinks she knows her sister best and she only wants the very best for her and she's sure that isn't Geoff. What's worse is that she feels as if Geoff is coming between her and Kate, and she knows that Kate is one of the few people that truly understand and accept her for whom she is not what she should be. There are times when Josie is a typically obnoxious and overly dramatic teenager, but then there are those times when she reveals she is so much more than that. A perfect example is the fact that she can be just as comfortable with her elderly widowed neighbor, Mrs. Easterday as she is with her best friends, Stu and Sophie Wagemaker (also her neighbors). Josie is just as flawed as she is lovable and that makes her the typical teenager, even if she can't see it. Did I enjoy reading Love and Other Foreign Words? Yes! Although Ms. McCahan presents the story with characters that are dealing with the typical teenage angst and drama, it is also a story about family, love, and acceptance. 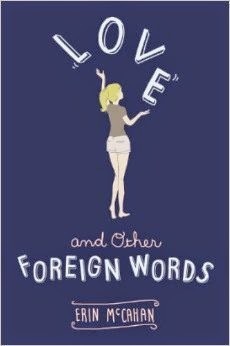 If you are a teenager (or have to deal with teenagers or simply because you used to be a teenager), then you'll want to read Love and Other Foreign Words. It is a fast and delightful read, perfect for a bit of spring (or summer) reading. 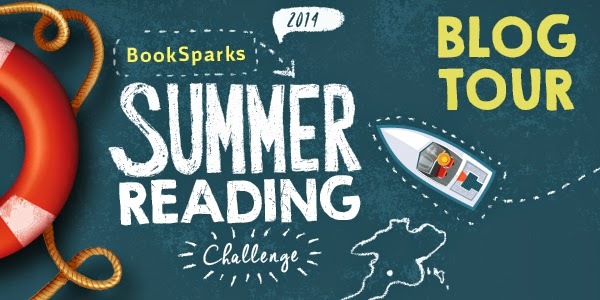 Disclaimer: I received a copy of this book free for review purposes from BookSparks as part of the Summer Reading Challenge via NetGalley. I was not paid, required or otherwise obligated to write a positive review. The opinions I have expressed are my own. I am disclosing this in accordance with the Federal Trade Commission's 16 CFR, Part 255: "Guides Concerning the Use of Endorsements and Testimonials in Advertising."